What is historic, and worth saving, varies with the beholder, but some definition is urgent. Simply put, “historic” means “old and worth the trouble.” It applies to a building that’s part of a community’s tangible past. And though it may surprise cynics, old buildings can offer opportunities for a community’s future. This article examines both the cultural and practical values of old buildings and looks at why preserving them is beneficial not only for a community’s culture, but also for its local economy. 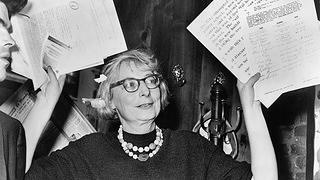 Jane Jacobs' book "The Death and Life of Great American Cities" changed the way people saw older buildings. Is it the warmth of thematerials, the heart pine, marble, or old brick―or the resonance of other people, other activities? Maybe older buildings are just more interesting. Regardless of how they actually spend their lives, Americans prefer to picture themselves living around old buildings. Some eyes glaze over when preservationists talk about "historic building stock," but what they really mean is a community's inventory of old buildings ready to fulfill new uses.